I’ve watched the birth and toddlerhood of all of the major configuration management tools (Puppet, Cfengine, Chef, Bcfg2, and so on) and have had the pleasure of knowing and interacting with almost all of their parents over the years. Recently I decided it was high time I get my hands dirty by leading a substantial deployment of one of the tools at $WORK. The first tool I thought I would tackle would be Puppet. In the process of planning for this effort, I’ve identified what appears to be a fairly large usability/workflow gap in Puppet1. I’ve tried to talk to a whole bunch of people about how they do things, but as far as I can tell everyone is still making due with fairly rickety rope bridges to get over the gap. It is entirely possible I’ve overlooked something obvious or the problem isn’t as big as the amount of scrutiny I’ve given it. But something in my long-time sysadmin heart tells me we could be doing much better. I’d like to see if I can pose a clear and cogent problem statement here and see if others can help me figure out what I’m missing. We’ll assume that there is a Puppet client running on www. It is configured in the default manner to wake up every N minutes3 and ask the server for changes to its config, pull down them down, and implement them. If a change is made locally on www, but the change is not propagated to the Puppet-managed config, it will be overwritten. As far as I can tell, there’s nothing new or remotely special about the setup I’ve described. Now let’s start to build the puzzle. Question 1: Where Should You Edit the Web Server’s Config File? Ok, it’s showtime! Let’s change the web server’s running configuration. For yuks, let’s assume this will be a substantial multi-line change and it is one I’m doing by hand4. Changes like this are often iterative, meaning I make a change, test it, fix any problems, test, fix more, and so on. Right there on the web server, in situ where the config file lives. First we stop Puppet (don’t want our changes overwritten by the regular update cycle!5 ), then we edit. Once we are done editing, we then have to get the changed file into our version control repository and then from there into the Puppet repository6. At that point we can restart Puppet7. In some working directory, someplace (doesn’t matter where), that is “checked out/cloned” for editing from the version control system. Each time I want to test a change, I have to commit the changes back to the VCS and either wait for it to propagate back to the web server or somehow “push” the process to make it happen sooner than the usual interval. Once it gets to the server, either Puppet or I have to tell the server to reload its config. I can then test if this change was correct. If not, edit the local copy, commit it again. Rinse and repeat. Let’s examine the pros and cons of each of these options. c) you’ve introduced a change in the “control flow” path that the web server config file took to get to the machine. Because we edited it in place, that change didn’t get to the machine via Puppet. As a result it bypassed any of the processing Puppet might have done to select/produce that file (e.g. templating). Humans are fallible, so for a) you run the risk of version skew if you forgot to check your changes back in8. Having to stop Puppet on a machine has the obvious side effects if it is not restarted. But what about the case where your colleague has changed another file in Puppet which isn’t getting to that machine because you disabled Puppet there? Having a config file get to a machine in two different ways is bound to force you to eventually debug an issue with “the road less traveled,” I’ll lay money on the table that at some point you’ll find yourself puzzling over why a Puppet-sourced change to a file didn’t do something you expected. change the Puppet config so the modified file is targeted to be specific to the machine, then change it so it becomes applicable to a larger scope. This means you are changing not only the service’s config, but also the configuration management system’s config. Best keep your wits about you. a less “one-off” variation of the previous idea is to use Puppet environments to label the machine you are working on as “special.” You then develop your configs first in a “special” place before moving them over to the standard location. You can also create a similar scheme using either Facter or an external node configuration. All of these methods force you to engineer your Puppet infrastructure to take this workflow into account11. But you have to have thought of this before hand. Question 2: How Do Configs Get from the VCS Respository to the Puppet Datastore? A job gets run periodically on the Puppet server to “check out” any changes to the VCS repository. The Puppet server either looks into this working copy for its files or a subsequent part of the job copies12 the whole or just changed data into the Puppet server’s datastore. The VCS has a post-commit hook added to the repository so that when a magical commit takes place (e.g. the change is tagged in a particular way or the commit happens to a specific branch) the VCS copies the appropriate files to the Puppet datastore. The Puppet server itself gets taught how to be a client of the VCS system and to look right into the VCS tree (e.g. through a web interface via HTTP) for files with specific branches or tags each time it runs. An alternative version of this is to have the Puppet server consult a config file (e.g. that has version numbers in it) which describes the latest version of a branch of the VCS repository. If the config file holds a version number later than the one in the Puppet repository, a check out is performed. As you can imagine, things get trickier when we try to run the options from Question #1 into the options for Question #2 and we don’t quite get the candy bar we’d hoped. Clearly some of the options for how the data gets from the VCS into Puppet are more amenable to “I just made a change, do it now!” than others. Some of the ideas we discussed above seem more or less “hackish” to me, but none of them really describe a workflow I’m particularly enamored by. I assert that the scenario I described above is one of the most common things you would want to do with Puppet. Given that, I really want to be enamored by the workflow because it is something I’m going to have to do all the time. How can we make this better? closer integration between Puppet and (some abstract layer on top of the more popular VCS systems). There’s a lot that could be done if a Puppet server could have easy read/write access to the VCS. create a way for a Puppet client to have a different relationship with the server than the current dom/sub paradigm where the client meekly says “Got anything for me? and the server says “Yes, and you will take it, and use it to overwrite what you have.” This would be best if this different relationship could be temporary and just for a single file or directory. 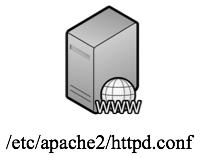 That way you may be able to say “take this web server config file and treat it specially. The client version will eventually be considered the canonical one. Scoop it up when I say I’m ready for it to return to the server.” This is one of the benefits of #1 above. I don’t think I’ve gotten close to licking this problem with these ideas, so I’d really like to discuss this with people who want to grapple with the same problem. Please feel free to comment on this post or get in touch with me via the comment form here on the site. Let’s talk about it. The plot thickens… see the next post in this series.